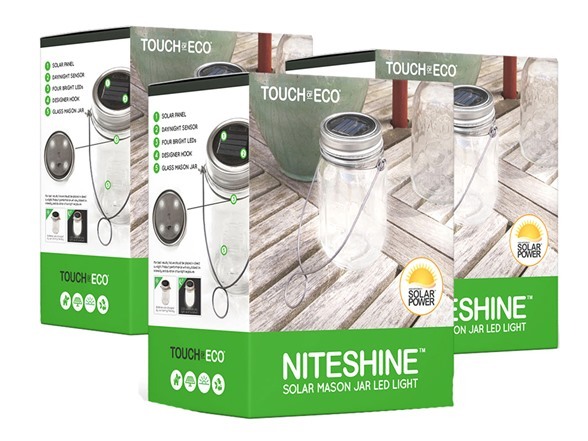 The NITESHINE is a solar powered mason jar featuring an easy on easy off lid design, high efficiency solar panel, and 4 ultra bight LEDs. The NITESHINE can be easily placed or hung anywhere in the yard to provide instant accent lighting to the lawn, garden, patio, or deck. The NITESHINE is ideal for any weddings, parties, or those long never ending summer nights making it the perfect outdoor companion. 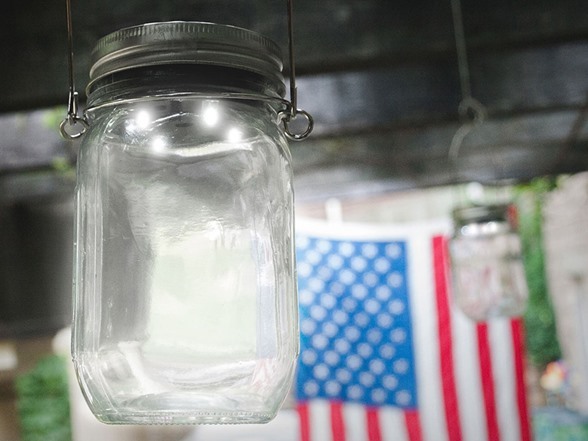 The NITESHINE will add rustic charm to any home or backyard bringing back the day good old days of catching fireflies in a jar. 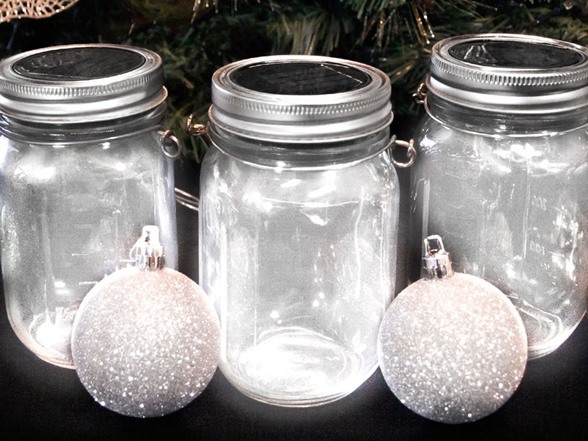 Add warm white LED lighting the easy and eco-friendly way. 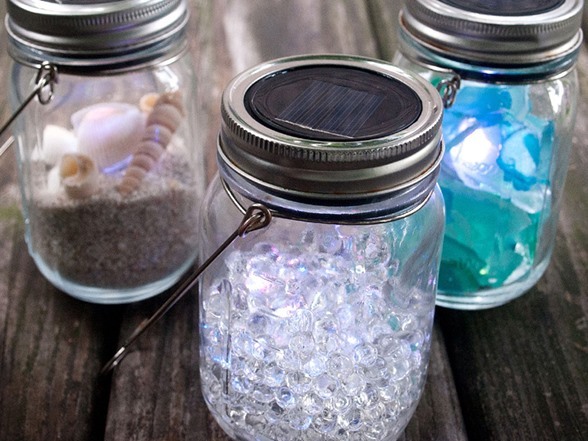 With just the flip of a switch and without any wires you can have beautiful and elegant lighting to your home and yard. Dimensions: 3.15" x 3.15" x 5.12"
Dimensions (hook): 3.54" x 3.15" x 9.84"
Dimensions: 3.75" x 2.2" x 1.5"